President Rodrigo R. Duterte vehemently denied the accusation of Supreme Court Chief Justice Maria Lourdes Sereno, that he backed-up the impeachment complaint filed by Atty. 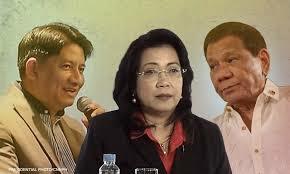 Lorenzo Gadon and the Quo Warranto filed by Solicitor General Jose Calida in a petition to remove her from her post. Duterte said, “Sinasabi ko na sa iyo na hindi ako nakikialam (I have been telling you, I am not meddling [with the case]). I’m your enemy and you have to be out of the Supreme Court. Kindly fast track the impeachment,” directed Alvarez.